Best Location Across from Stratton Village! Steps from Lifts & Village! Our 2 Bedroom 2 Bathroom Directly Across From The Village. Walk To The Mountain. Our Unit is a 2 Bedroom Condo Sleeps 6 ...with a Ice Skating pond in front of Rising Bear during the winter time. The Rising Bear House is located directly across from Stratton Village where you can park in a heated garage in the Rising Bear heated garage in building. (1 spot available and never have to drive your entire stay).You can walk to the base lodge and lifts. Walking distance to all restaurants and shops and spa all located in the village. Condo details-Living room with gas fireplace and brand New 4K HDTV flat screen TV, pull out full size bed sleeps 2 Kitchen with eat in area as well as dining room. Master Suite Bed Room has a King size bed, tv and dvd, with a full master bath. Second bedroom as a King size bed and door to bath 2nd bath room. Second bathroom is a full bath. Balcony with access from living room, offers great mountain views. Access to owners great room lounge and fireplace (on 1st Floor) in lobby of building as well as heated outdoor pool and two jacuzzis and Sauna. The heated pool is great for kids after a long day skiing on the slopes! Other amenities: private ski locker and wireless internet. Access to health club and pool as well as golf course. We... Richard, Ronald, Carl are brothers that grew up together and enjoyed vacationing as an family with our good friend Sean and his family love to spend many Vermont vacations together in all the seasons that Vermont has to offer. We love Vermont , but Stratton has everything it is a relative short drive from our other friends and family members in NJ- NY- LI Ct and Boston area. A lovely place to Ski- Bike- Hike, play golf, play tennis, do Yoga, go fishing...just to relax with family and friends and have fun! Beautiful view of Stratton from Rising Bear! A site to see in all Seasons Winter, Spring Summer and especially Fall! Same short walk back to Rising bear, but after a long day of skiing ? snow boarding you can always take a shuttle bus which drops you off in building garage area and elevator up to your room. I had a great stay at Rising Bear 312. The unit was incredibly comfortable and spacious and has all the amenities anyone could need. The building's hot tubs and pool were a perfect way to unwind after a day on the slopes. And quite social as all the other guests I met were great company. But the real bonus is the location so close to the lifts. No driving or parking hassle. It's about a 3 minute walk (in boots) to cross the street and be at the lift line; or take the shuttle from inside the parking garage as desired - it doesn't get any easier. Also so convenient to be able to walk to eat and drink at the establishments in Stratton Village in the evening. The owners were great with communicating all the necessary details in advance and making themselves or others reachable if there were to be any problems (which there weren't!). Definitely a place to revisit. Loved this condo. The owners are amazing, communication was perfect. Location is everything and the Rising Bear is right off the main village. Super clean and comfortable. Best part was the underground parking and we didn’t have to load the car in the snow storm rolling in. Loved our stay at the Rising Bear! The owners were careful to think of every detail in their immaculately well kept and beautifully decorated condo. Plenty of space for our family of 5, comfy beds, games, and all the kitchen items you could need to feel at home. The best part was it was just steps away from the lifts and restaurants. Skiing, ice skating, and swimming - and never having to get in the car - made this the perfect escape. This was our first time to Stratton and to rising bear lodge, but I can say with certainty that we will be back! We had booked this a few weeks ago and were so pleased that the owners could accommodate us for our short three-night stay. From the moment we booked until the moment we left, the owners were in constant communication whenever we had a question. The kitchen was fully stocked, which was perfect because we ate some meals in the condo. The beds were extremely comfortable, the bathrooms included soap and shampoo and towels, and the owners even left a binder of menus to their favorite restaurants, which we put to good use. In addition to being neat as a pin, the condo is very close to the ski rental, and we never even had to use the shuttle to get there- just a short walk through the beautiful little shops and the slopes were right there. All in all, this was a perfect vacation, and we truly thank the owners for welcoming us into their lovely home. We hope to visit again either this year or next. To anyone considering this place, book it- you won’t be disappointed! Excellent time in a great location! This condo is clean, comfortable and has a lovely decor. The location is very convenient and a walkable distance to everything you will need! These guys do it right! Another wonderful ski weekend at Stratton. The owners of RB312 do it right - we've stayed in 2 of their condos and they do a beautiful job of paying attention to detail. Great location, great amenities and perfectly appointed! We'll be back! Rising Bear 312 is located at the base of Stratton mountain, directly across form Stratton Village. It is a beautiful year round resort with many things to do all year long. Skiing, snowboarding, cross country skiing, snow shoeing, and all winter fun to Hiking, Yoga, Biking, Nature hikes, Fly-fishing, Rafting, boating, tennis, golf and much more! Or just take in nature in the outstanding winters! The Spring ? The cool relaxing Summer, with many special events, concerts, golf course, wanderlust Yoga, Tennis academy, and much more! Or just relay and get out and hike or walk and view nature at its best with the change of seasons in the Fall! 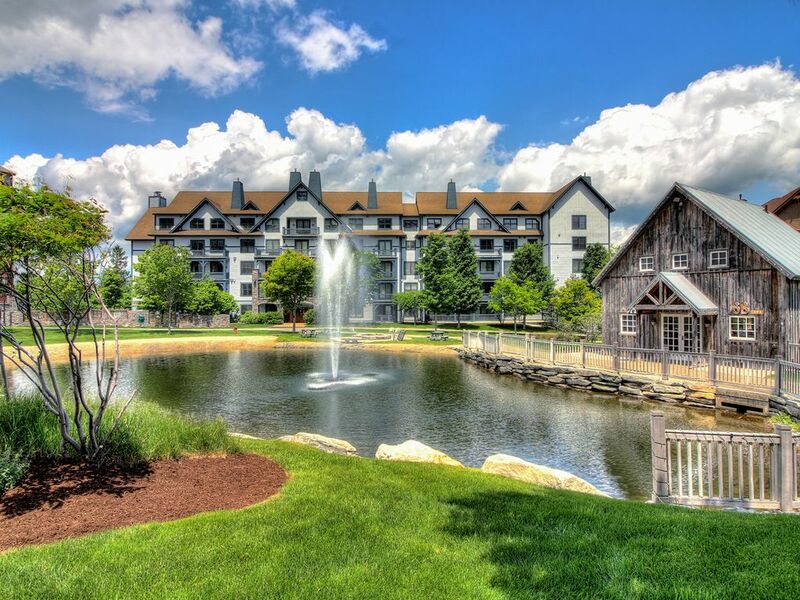 15 minutes from Manchester Vt for great outlet shopping and world class restaurants! Something for everyone in the family!